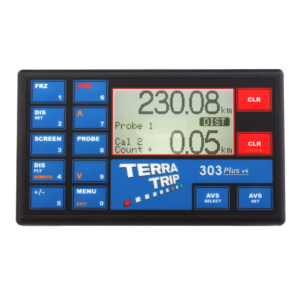 Terratrip 202 Classic PLUS tripmaster, with graphical display showing Total Distance, and Interval Distance. Optional remote display (Part No. 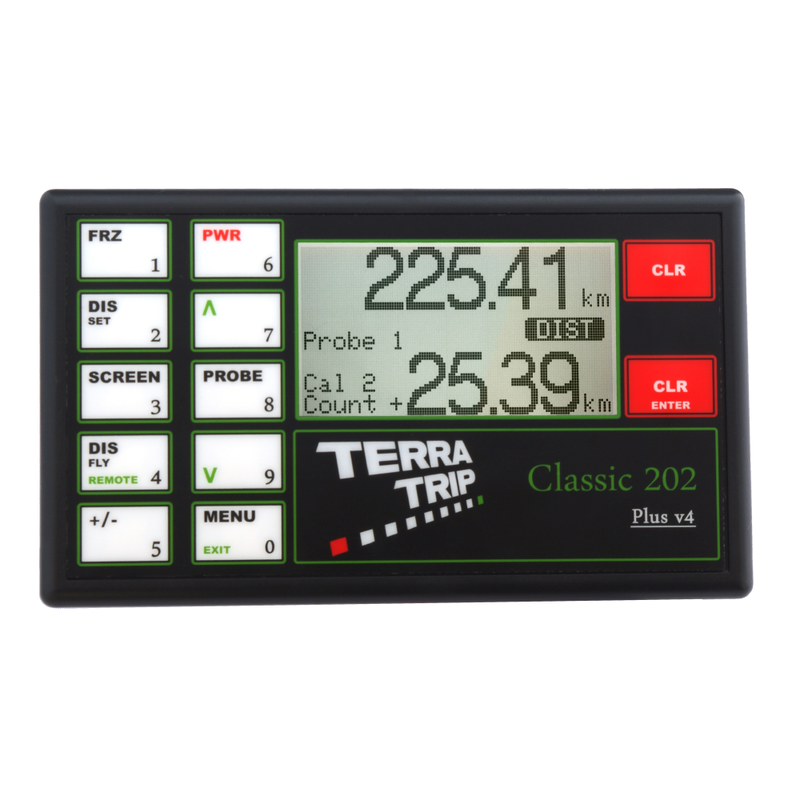 T016G) can be fitted and this will show Interval Distance. 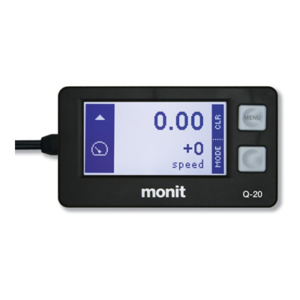 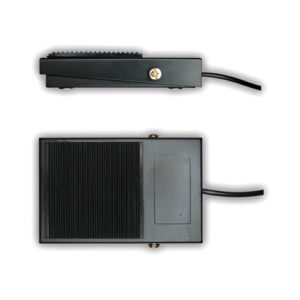 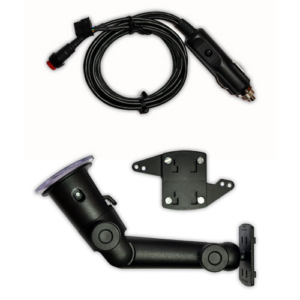 Optional remote zeroing unit is available by either foot remote or handheld remote. 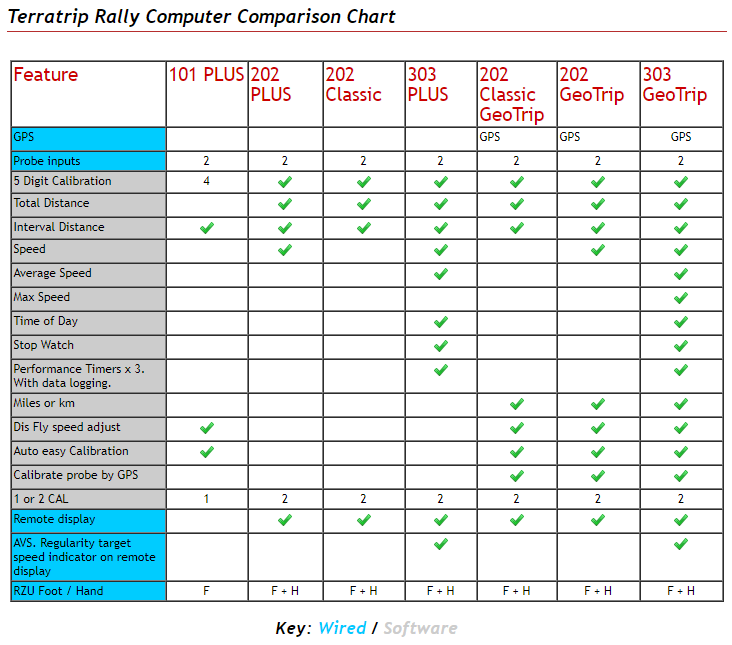 Optional remote display interval distance.